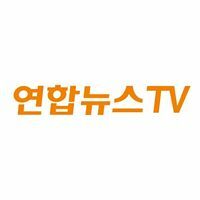 News TV Channel / Yonhap News Agency is South Korea's news agency. It is a funded company, based in Seoul, South Korea. Yonhap provides news articles, pictures and other information to newspapers, TV networks and other media in South Korea. Yonhap was established on December 19, 1980, through the merger of Hapdong News Agency and Orient Press. It maintains various agreements with 78 non-Korean news agencies, and also has a services-exchange agreement with North Korea's Korean Central News Agency (KCNA) agency, signed in 2002. It is the only Korean wire service that works with foreign news agencies, and provides a limited but freely-available selection of news on its website in Korean, English, Chinese, Japanese, Spanish, Arabic, and French.